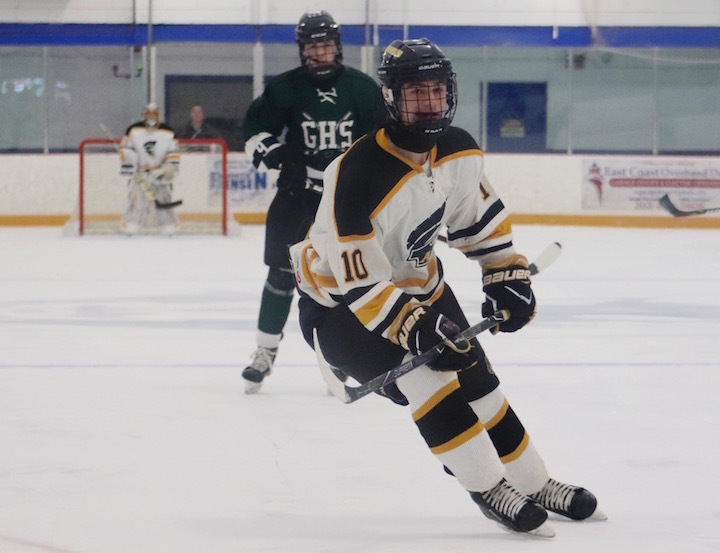 The Amity Spartans Boys Ice Hockey team had a fantastic start to the 2018-19 season with seven consecutive victories, but, alas, that was followed by six losses. Yesterday, as I walked into the Edward Bennett Ice Rink building, I felt confident that this day (Saturday, Feb. 2) Senior Day, was for sure the day they’d make their comeback. After the Senior Day ceremony, the Spartans welcomed the East Haven Yellow Jackets to play. In the first period, both teams played furiously, skillfully taking control of the puck, then intercepting and so on. 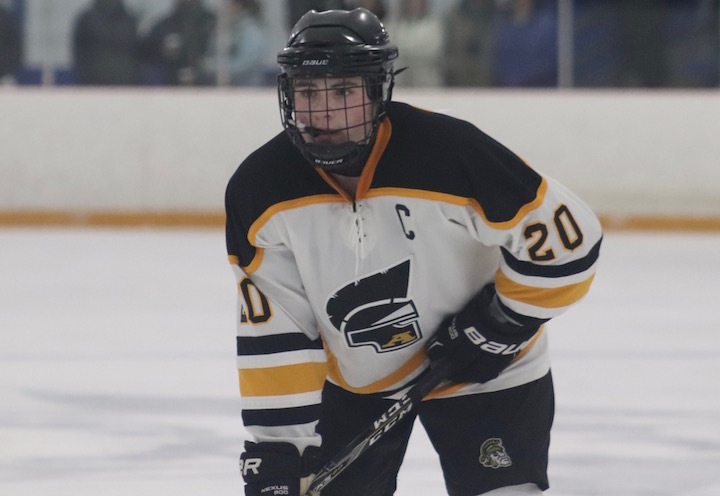 Then, at 10:16 into the game, assisted by Kenny Page and Etan Moffett, Amity Senior Jason Csejka got a shot past East Haven’s goalie Logan Hamilton. 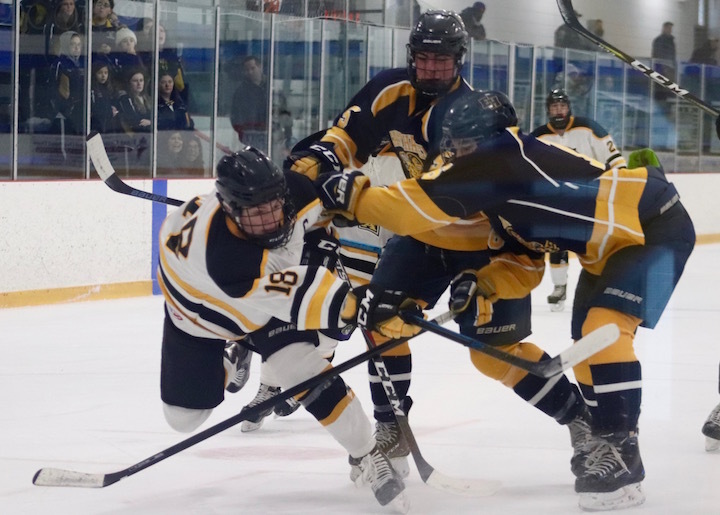 The second period had nonstop action and a fair amount of penalties (3 for East Haven, 1 for Amity). But, there was no movement on the scoreboard. Coach Richetelli must have said something right in the locker room during the break. When the Spartans came back out to the ice they were absolutely inspired. At 4:44 Nick Kiwanis slapped one into the net, unassisted, pulling the Spartans ahead to 2-0. Nearly 10 minutes passed, with both sides relentlessly shooting at the nets, it was looking like Amity goalie Malachi Zurolo was going to earn his first shut out game. Then with 24.8 seconds remaining, the Yellow Jacket’s Alex Spears got one past Zurolo, assisted by Corey Benni. The clock ticked down, but it wasn’t over yet, in the last 10 seconds, Csejka swooped in and made one final goal, assisted by Page. Final: The Spartans Won 3-1, and with this victory, they also qualified for the tournament. Don’t forget, I said they’d win this game. And I said they would be in the tournament long before anyone else ever noticed them. 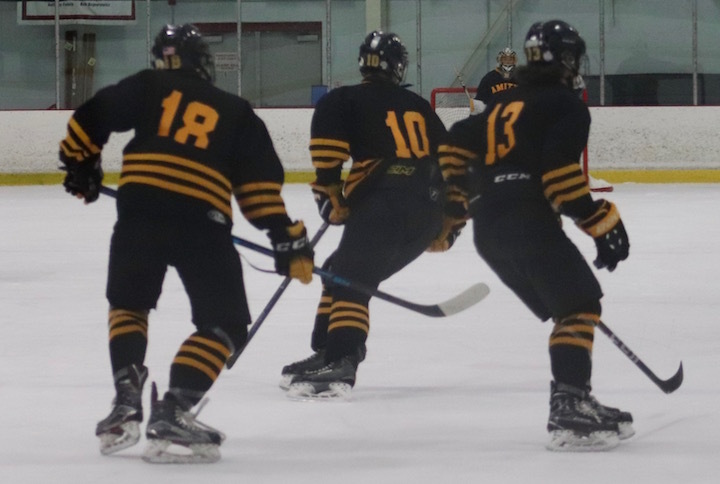 Next Up For The Spartans: Amity hosts Lyman Hall a top rated DIII team, in West Haven on Wednesday, Feb. 6 at 8:30 p.m.